Dr. Hamid Algar, is British-American Professor Emeritus of Persian studies at the University of California, Berkeley. B.A. from Trinity College, Cambridge, U.K. Ph.D. from Cambridge University, Cambridge, U.K. He is a prolific write. He has written hundreds of articles and many books. 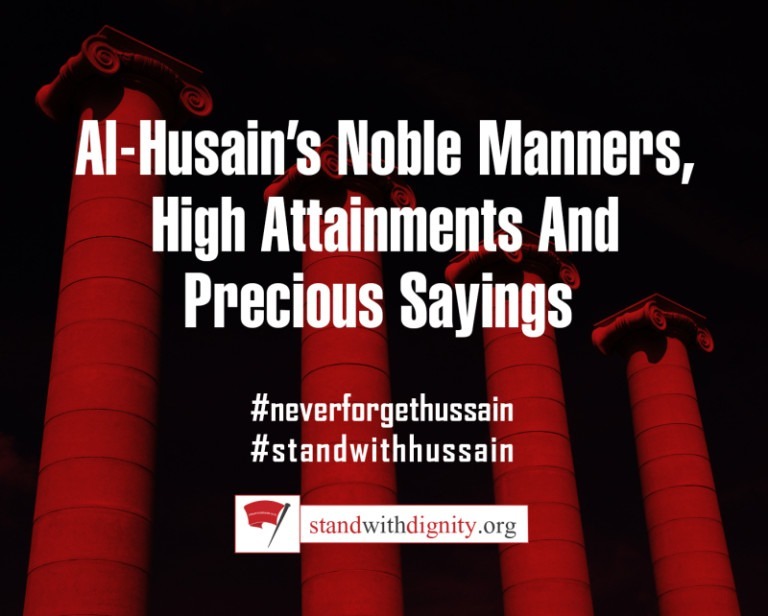 In the year 60/680, Imam al-Husain (A) stayed for about three months at Mecca in the course of his movement against the succession of Yazid, the degenerate son of Muawiyah, to the Caliphate. 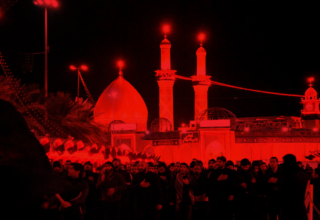 Yazid had assumed the leadership of the Islamic world on Muawiyah’s death in Rajab 60/ March 680. His way of life was representative of that common among the youth of the Umayyad aristocracy during the Jahiliyyah. His un-Islamic conduct and practices were well known throughout the Muslim world and had earned for him contempt and disfavor among the religious. Nevertheless, Mu’awiyah’s arrangements, coupled with his military grip on the Muslim world, ensured the succession of his son. In order to secure undisputed possession of the Caliphate, the first task undertaken by Yazid was to order al-Walid ibn ‘Utbah, the governor of al-Medina, to extract allegiance (bay’ah) from the refractory, especially from al-Husain ibn’ ‘Ali and ‘Abd Allah ibn al-Zubair, who were among the few who had refused to recognize Yazid’s heir appearance during Mu’awiyah’s life. In his letter to the governor, Yazid gave strict orders that they should not be allowed to delay, and if they refused al-Walid should behead them at once. 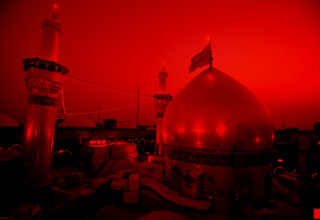 Al-‘Imam al-Husain (A) received repeated appeals and hundreds of letters sent by the Kufans. Pledging support to him in his movement against Yazid’s rule. He also received reports that the government had sent some soldiers disguised as pilgrims to assassinate him in the sacred precincts of Makkah during the rituals of hajj, which was drawing near. On 8 Dhual-Hijjah/10 September 680, al-Imam al-Husain left Makkah for Kufa, after performing ‘Umrah, foregoing Hajj in order to safeguard the sanctity of the Haram of Makkah and to avoid bloodshed in its holy precincts. Makkah was at the time full of pilgrims who were pouring in from all parts of the Muslim world. There, at Mina, he delivered the famous sermon addressing the people, especially the learned in religion. This sermon is recorded in Tuhaf al-‘Uqul, a collection of sermons and aphorisms of the Imams (A) compiled by al-Hasan ibn ‘Ali ibn al-Husain ibn Su’bah al-Harrani (d.381/991). It shows the state of Muslim society during and after Muawiyah’s 20 year rule, a matter which prompts every concerned Muslim to study and investigate how it came to prevail in the not-too-long a period, a single generation or nearly 50 years, after the demise of the Noble Messenger (S). It shows that the ‘ulama (scholars) then, as today, enjoyed the people’s respect and veneration, but having aligned themselves with the rulers they neglected their duties with respect to God and His laws and in regard to the people and their divine duty to strive to protect their rights. It shows the state of the common people, especially the society’s poor and weak, who lived in complete neglect on the part of the rulers, contrary to the Prophet’s practice and his great concern for their welfare and rights. The ‘ulama’ were not only silent viz-a-viz the oppression of the people, they failed to speak out against the anti-Islamic conduct of the rulers to condemn their propagandists who misguided the people from their pulpits in every town. It shows the people’s indifference in regard to the Prophet’s Ahlul-Bayt (A) and their obliviousness to the Prophet’s earnest and oft-repeated advice and persuasions (so repetitive that they fill the hadith corpus, Sunni and Shi’a; regarding them). It was this general indifference towards the Ahlul-Bayt (A) and common ignorance regarding their sublime station in Islam that emboldened a profligate like Yazid to kill the Prophet’s only living grandson in such a barbaric manner and to imprison the women and children of his noble family. History shows that this indifference had causes that lay in the past. 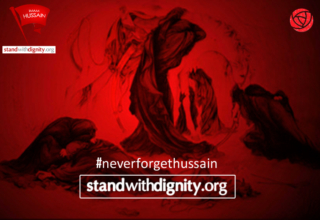 Had it not been for the heroic struggle of al-‘Imam al-Husain (A), nothing would have remained of the genuine teachings of Islam. Even Yazid, with the help of hired historians, would have gone into history as a respectable Islamic ruler and as a deserving successor of the Messenger of Allah (S). Of course, some court historians and fuqaha’ tried to justify even the blackest crimes of Yazid as ‘errors of ijtihad.’ But such justifications did not succeed in convincing any honorable or aware Muslim. All that such historians and fuqaha could succeed in achieving was everlasting ignominy for themselves. 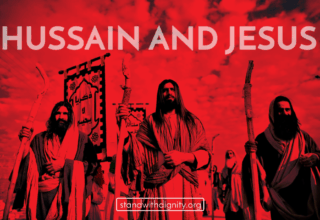 Al ‘Imam al-Husain (A) through his tragic martyrdom revived Islam and preserved its authentic teaching from the hands of tyrants. Hence the Islamic world is indebted to this brave son of Fatimah al-Zahra (A) and shall remain indebted to him to the Day of Resurrection. God mention the duty of enjoining the good and forbidding the evil (al-‘amr bi al-ma’ruf wa al-nahy ‘an al-munkar) before all other duties, because he knows that if it is performed and is established in the society all other duties, the easy and the difficult, will also become established. The reason for this is that al ‘amr bi al-ma’ruf wa al-nahy ‘an al-munkar means summoning people to Islam, as well as resistance against injustice, opposing and struggling against oppressors, and endeavoring to ensure that public wealth and income derived from war are distributed in accordance with the just laws of Islam, and that taxes are collected, levied, and expended in due and proper form. O scholars, who are the celebrated and enjoy good repute on account of your learning,! You have achieved a good name in society because of your good will. It is on account of God that men venerate you and stand in awe of you, so that even the powerful fear you and the weak honor you, and those who are not subject to you and over whom you hold no authority grant you favors they deny themselves. When the people do not receive their due, they seek your intercession, and you walk in the street with the majesty of kings and princes. Have you not earned all this respect and prestige because of the people’s hopes that you will implement God’s laws, even though in most instances you have failed to do so? You have taken lightly your duties as leaders. You have neglected the rights of the oppressed and the lowly, but have assiduously pursued what you regard as your personal rights. You have not spent your money or risked your life for the sake of the One Who gave you life, nor have you fought against any group or tribe for the sake of God. Nevertheless, you desire – and regard it as due – that He should grant you paradise, the company of the Prophet, and security from His chastisement in the Hereafter. You have such expectations of God; I feel that the full weight of His wrath will descend upon you, for although it is by His might and glory that you have achieved high rank, you show no respect to those who truly know God, while you yourselves enjoy respect among God’s creatures on His account. (I am also afraid for you for another reason 🙂 You see the covenant enacted with God being violated and trampled underfoot, yet you show no anxiety. When it comes to the covenants enacted with your fathers, you become greatly disturbed and anxious if they are only violated in part, but the pledges you have given to the Most Noble Messenger are a matter of complete indifference to you. The blind, the dumb, and the chronically ill everywhere lack protection in towns and no mercy is shown to them. But you neither behave in accordance with your function and rank, nor you support or pay any regard to those who do. You purchase your safety from the oppressive ruling powers with flattery, cajolery and compromise. All these activities have been forbidden you by God, and He has, moreover, commanded you to forbid each other to engage in them, but you pay no attention. The calamity that has befallen you is greater than what has befallen others, for the true rank and degree of ‘ulama’ has been taken away from you. The administration of the country and the issuing of decrees and ordinances should actually be trusted to religious scholars who are guardians of God’s ordinances concerning what is permitted and what is forbidden. But your position has been usurped from you, for no other reason than that you have abandoned the truth (Al-Haqq) and have disagreed about the nature of the Sunna, despite the existence of clear proofs. Had you the forbearance to endure adversities and hardships for the sake of God, then all proposed regulations (God’s affairs) would be brought to you for your approval and for you to issue; authority would lie in your hands. But you allowed the oppressors to take away your functions and God’s affairs (i.e. government) to fall into their hands, so that they administer them by resorting to ambiguities and make arbitrariness and the satisfaction of lust their consistent practice. What enabled them to gain control of government was your fleeing in panic from (inevitable) death and your love of life, which shall in all certainty depart from you. As a consequence of that mentality, you have delivered the powerless masses into the clutches of the oppressors. 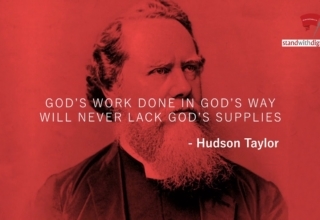 While some cringe like slaves under the yoke of the oppressors, and other have been reduced to destitution in regard to their livelihood, the rulers run the affairs of the government in accordance with their whims, earning ignominy and disgrace for themselves with their licentiousness, following evil counselors, and showing impudence toward God. One of their appointed spokesmen mounts the pulpit (mimbar) in each city. The country is defenseless before them, and their hands grab freely whatever they want of it. The people are their slaves and are powerless to defend themselves. One of the governors is a dictator by nature, malevolent and rancorous; and other represses his wretched subjects ruthlessly; and still another refuse in his absolutism to recognize either God or the Day of Resurrection! It is not strange – how can one think it strange-that society is in the clutches of a cunning oppressor whose tax collectors are oppressors and whose governors feel no compassion or mercy toward the believers under their rule. O God! You know that everything we did was not prompted by rivalry for political power, nor for a search of wealth and abundance; rather it was done to demonstrate to men the shining principles and values of Your religion, to reform the affairs of Your land, to protect and secure the indisputable rights of Your oppressed servants, and to act in accordance with the duties You have established and the norms, laws, and ordinances You have decreed. So (O scholars of religion!) You are to help us reach this goal, win back our rights from those powers who have considered it acceptable to wrong you and who have attempted to put out the light kindled by your Prophet. God suffices us – upon Him do we rely, to Him do we turn, and to Him shall we return.